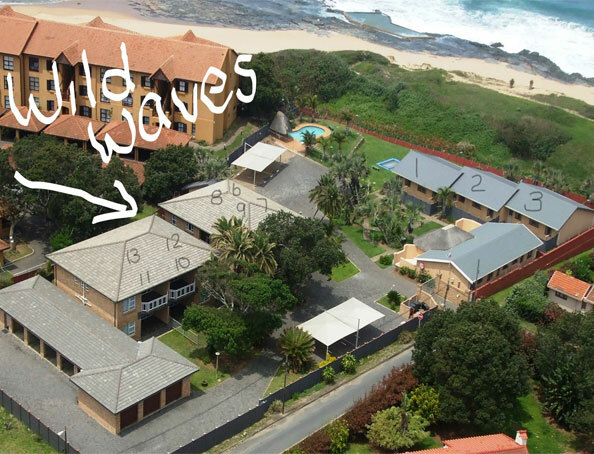 WILD WAVES is a holiday accommodation complex in Shelly Beach, South Coast KwaZulu Natal. 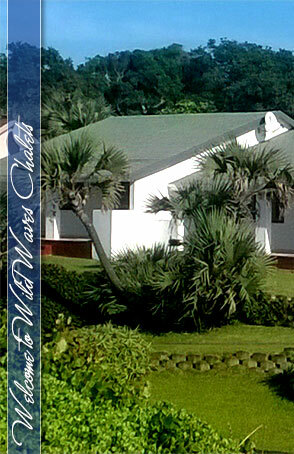 Right on the beach - 11 fully equipped self catering units in a tranquil garden setting. Fully walled complex secured with electric fencing. Units are fully equipped with fridge/freezer, microwave, stove, cutlery and crockery. TV with limited DSTV (bring own decoder and smart card), ceiling fans and a safe. Linen provided - bring only towels and kitchen towels. Daily service available at a small additional fee. Offers lodging for a small family in two bedroom units - 2 adults and 3 kids or Max 4 adults - no children. Crystal clear swimming pool and a trampoline and jungle gym for the kids. Undercover parking. Fully walled complex secured with electric fencing. Shelly Centre, the South Coasts largest shopping centre only 2 km away with cinemas, shops and restaurants. 9 km from Margate and its airport. Close to 8 golf courses, ski-boat club and deep-sea fishing, scuba diving and various sports clubs. Only a stone throw away from popular swimming beaches St Michaels, Uvongo and Margate.